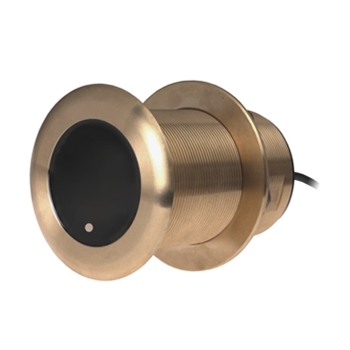 Garmin's B75H, 8- Pin 600W High Frequency Transducer with 20 degree tilt offers an excellent choice for fiberglass and wood hulls. Designed to allow both traditional and CHIRP scanning. Operating frequency of 130-210 kHz; a beamwidth of 15/9 degrees; and a 16 to 24 degree deadrise. The B75H can reach depth's of 900ft.